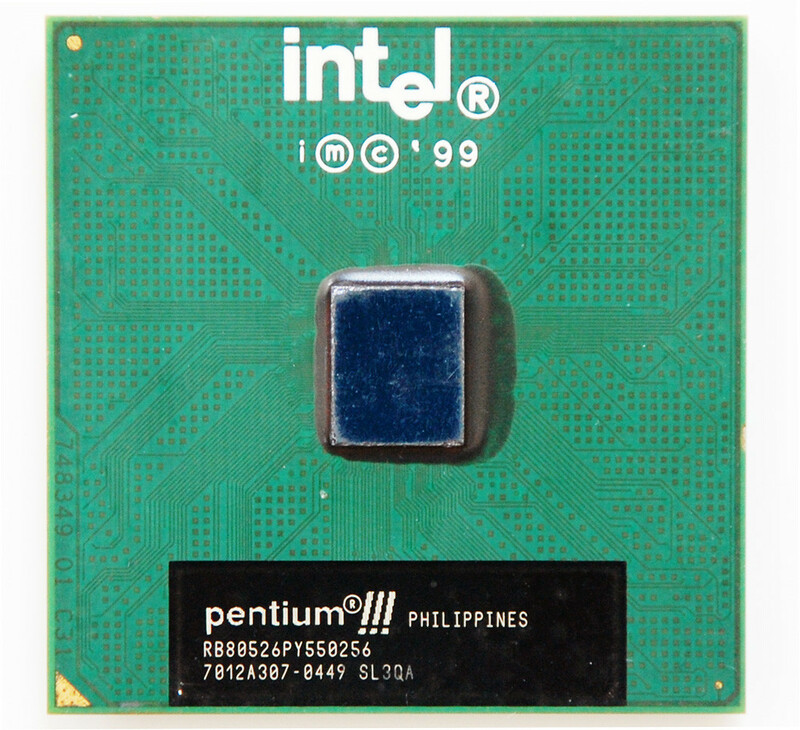 The Pentium III brand refers to Intel's 32-bit x86 desktop and mobile microprocessors based on the sixth-generation P6 microarchitecture introduced on February 26, 1999. 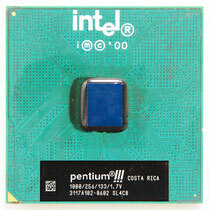 The brand's initial processors were very similar to the earlier Pentium II-branded microprocessors. 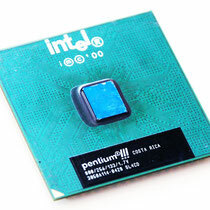 The most notable differences were the addition of the SSE instruction set (to accelerate floating point and parallel calculations), and the introduction of a controversial serial number embedded in the chip during the manufacturing process. 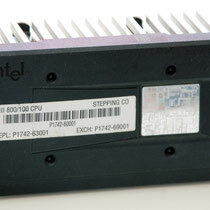 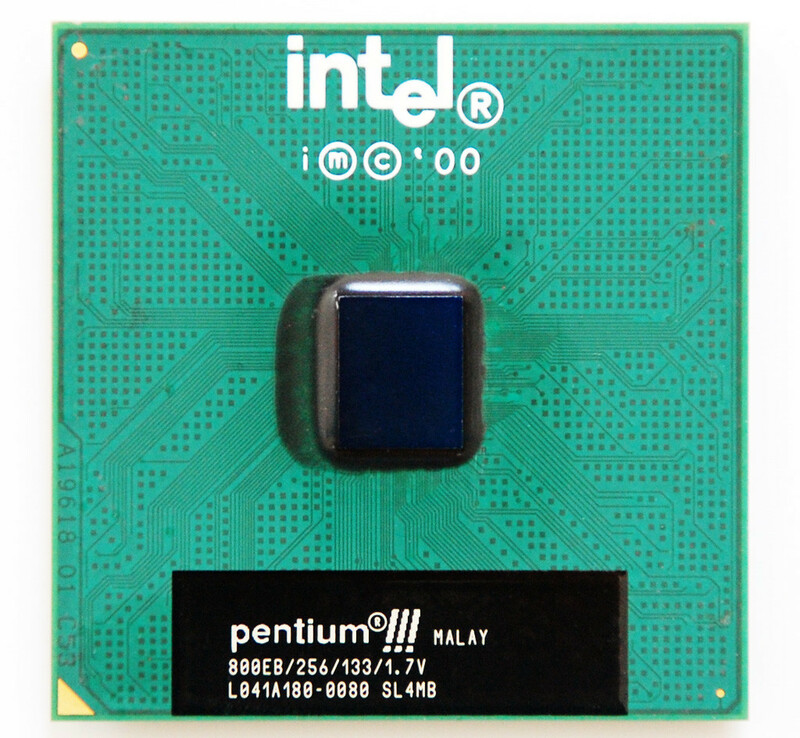 The first Pentium III variant was the Katmai (Intel product code 80525). 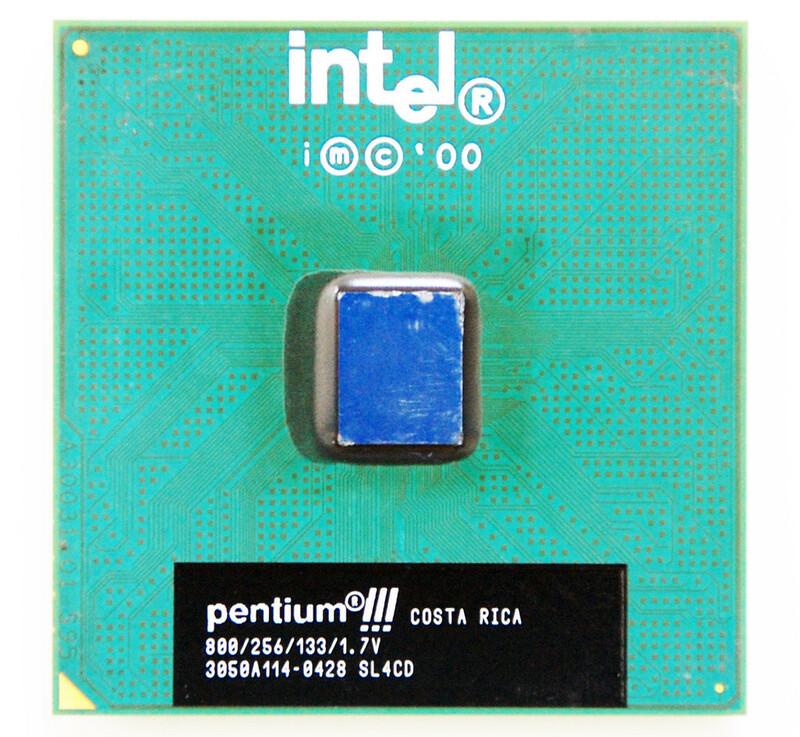 It was a further development of the Deschutes Pentium II. 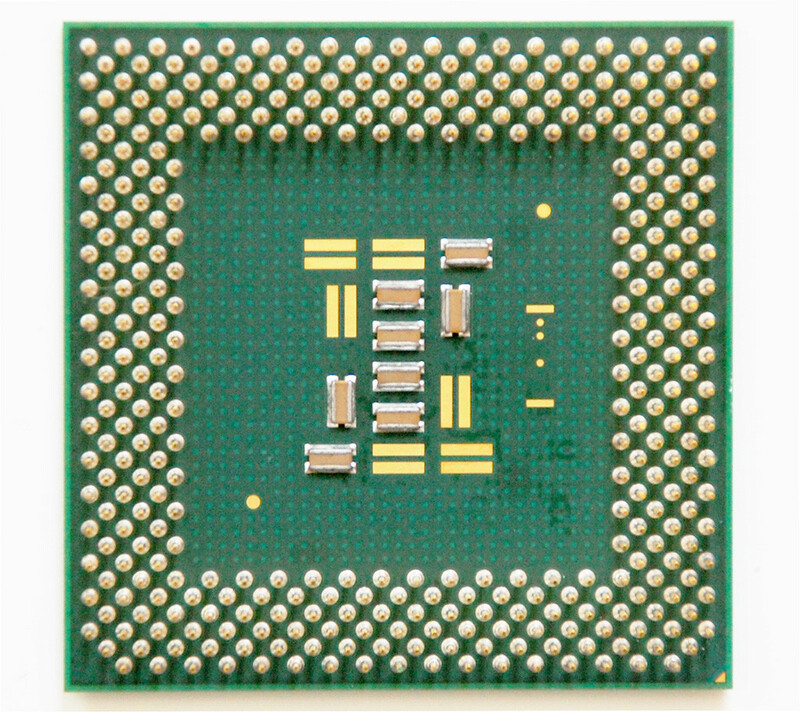 The Katmai contains 9.5 million transistors, not including the 512 Kbytes L2 cache (which adds 25 million transistors), and has dimensions of 12.3 mm by 10.4 mm (128 mm^2). 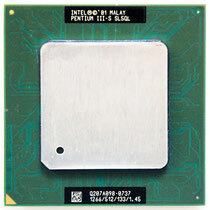 It is fabricated in Intel's P856.5 process, a 0.25 micrometre CMOS process with five levels of aluminum interconnect. 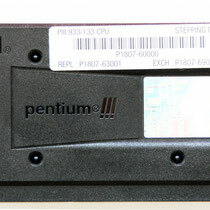 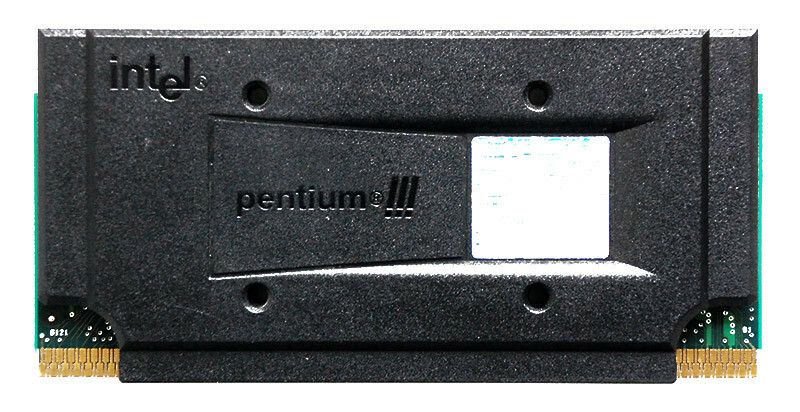 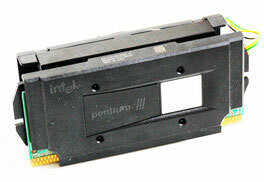 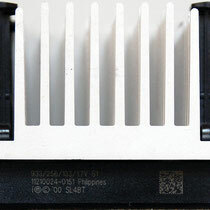 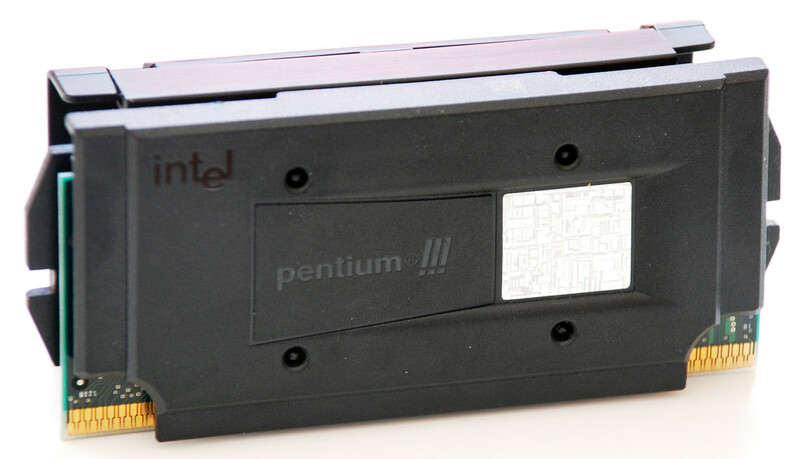 The Katmai used the same slot-based design as the Pentium II but with the newer SECC2 cartridge that allowed direct CPU core contact with the heat sink. 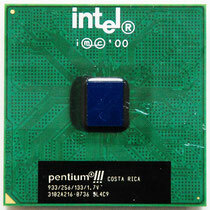 The second version, codenamed Coppermine (80526), was released on October 25, 1999. 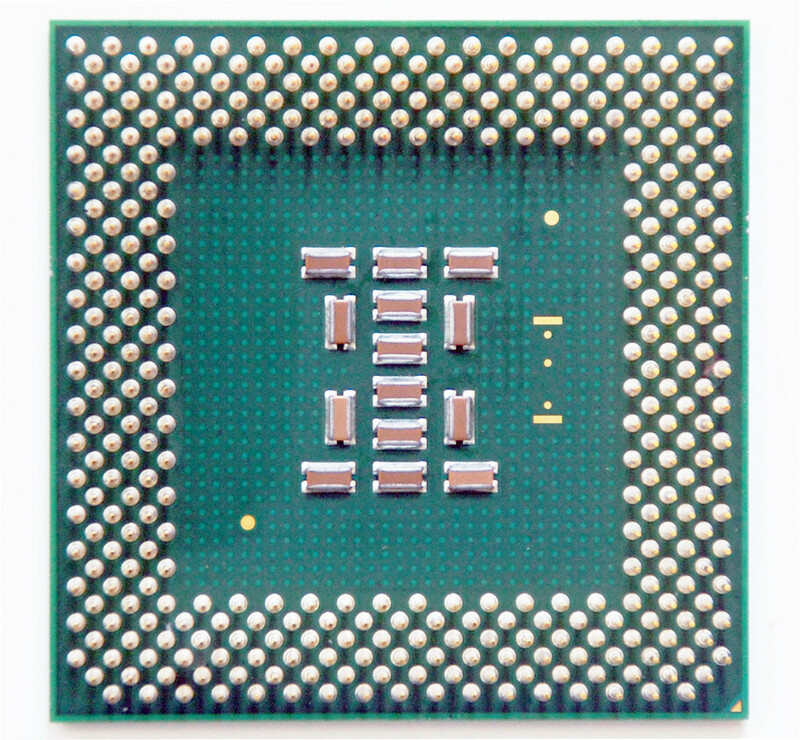 In terms of overall performance, the Coppermine held a slight advantage over the AMD Athlons it was released against, which was reversed when AMD applied their own die shrink and added an on-die L2 cache to the Athlon. 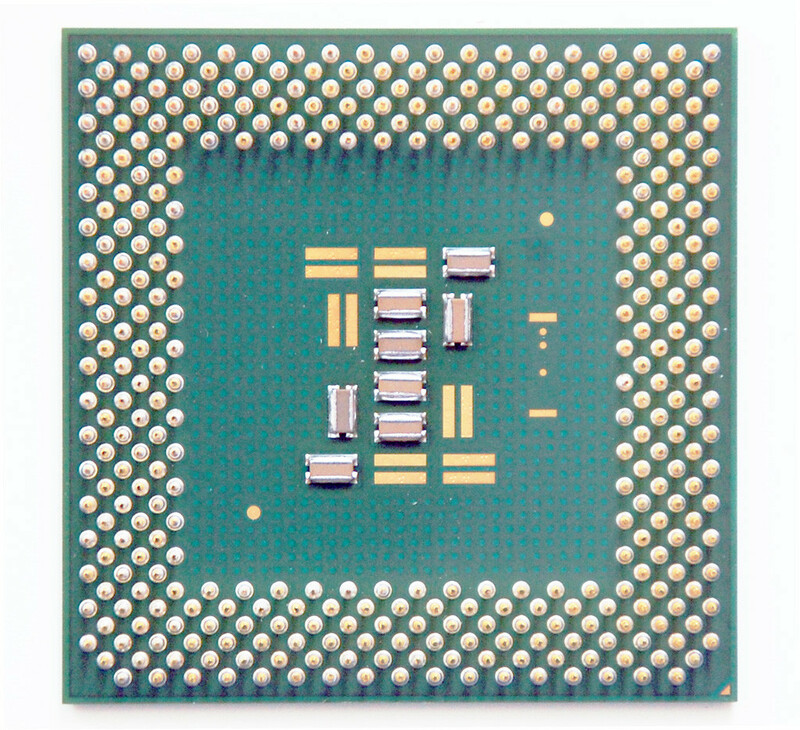 Athlon held the advantage in floating-point intensive code, while the Coppermine could perform better when SSE optimizations were used, but in practical terms there was little difference in how the two chips performed, clock-for-clock. 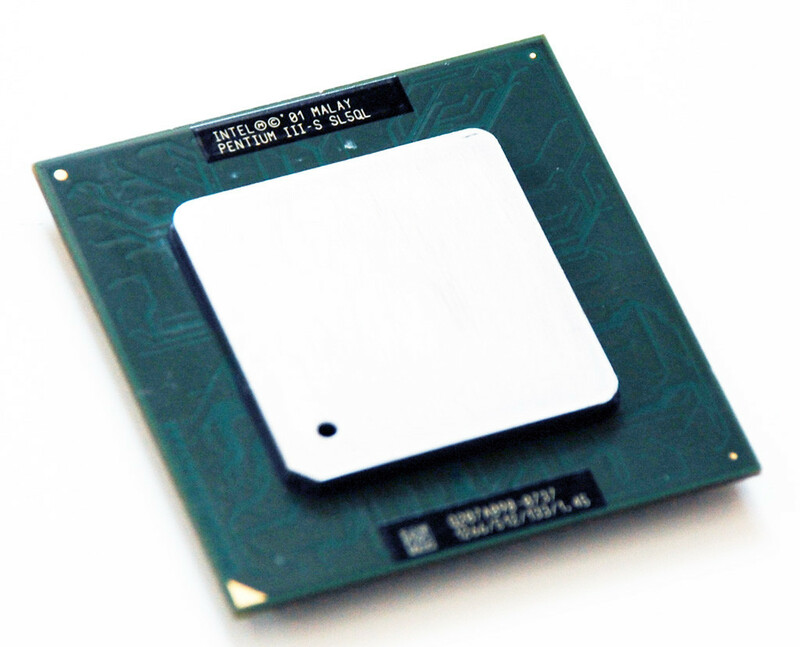 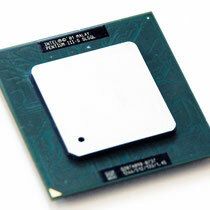 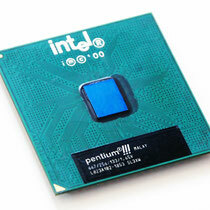 However, AMD were able to clock the Athlon higher, reaching speeds of 1.2 GHz before the launch of the Pentium 4. 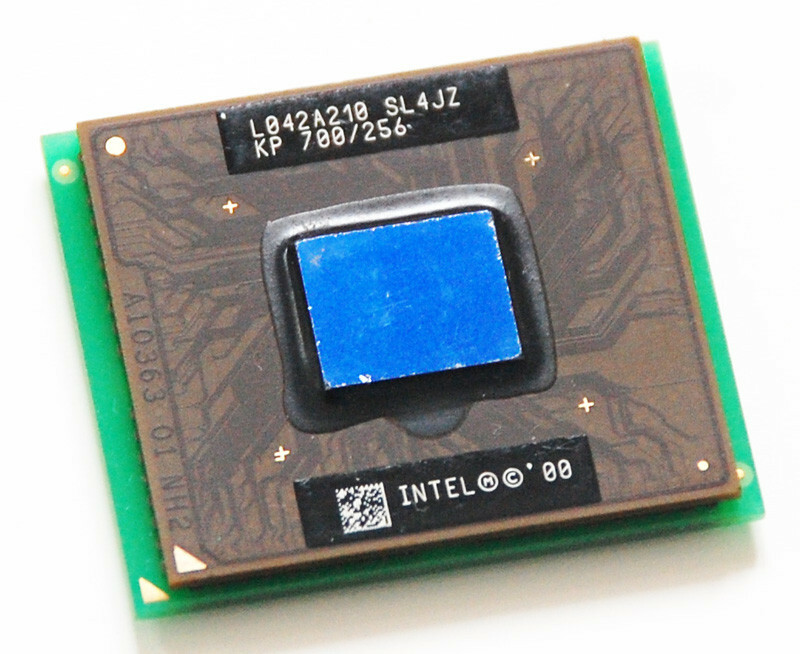 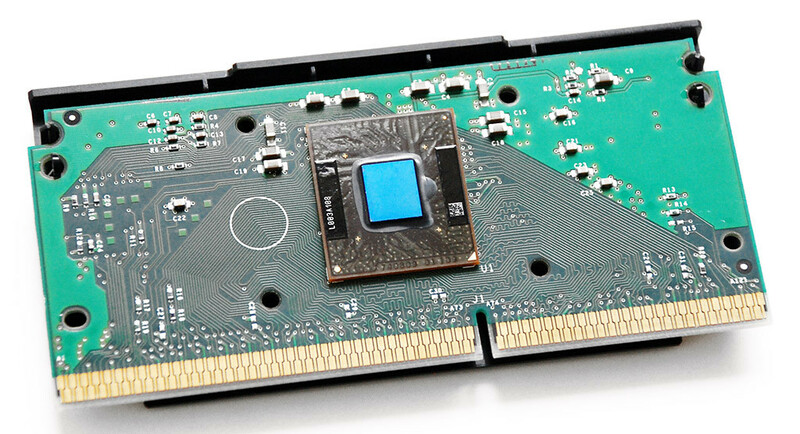 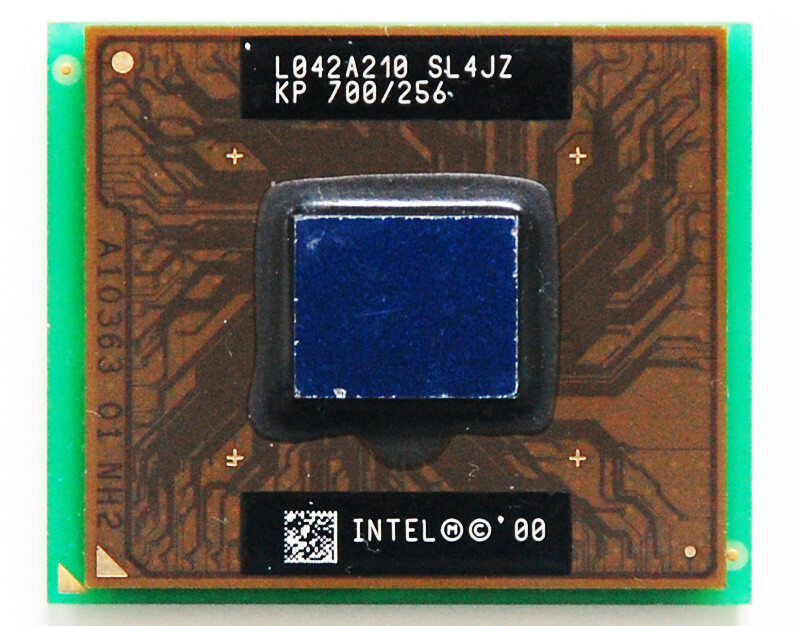 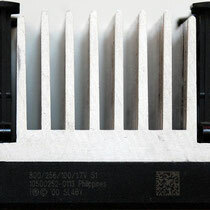 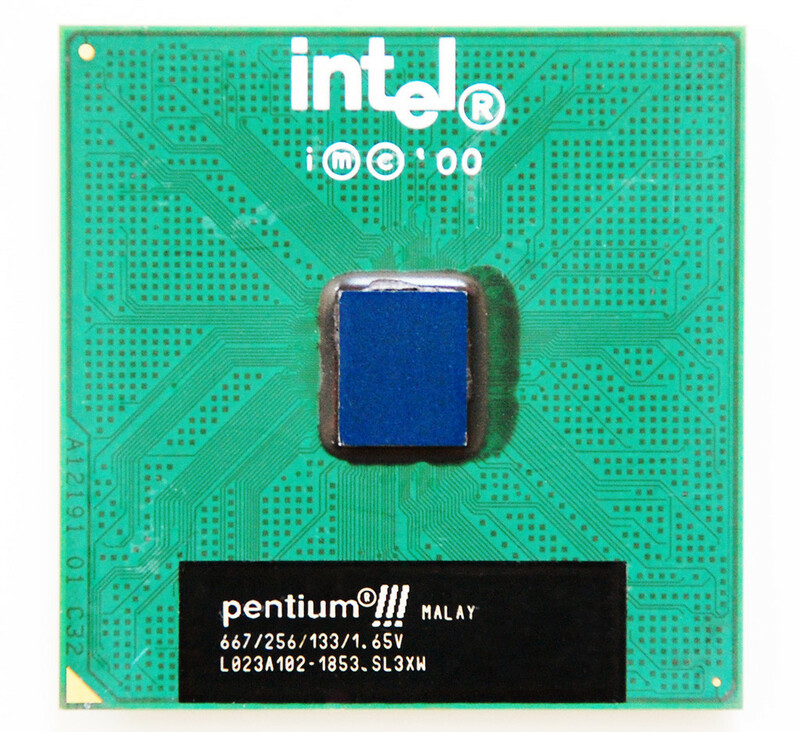 The third revision, Tualatin (80530), was a trial for Intel's new 0.13 µm process. 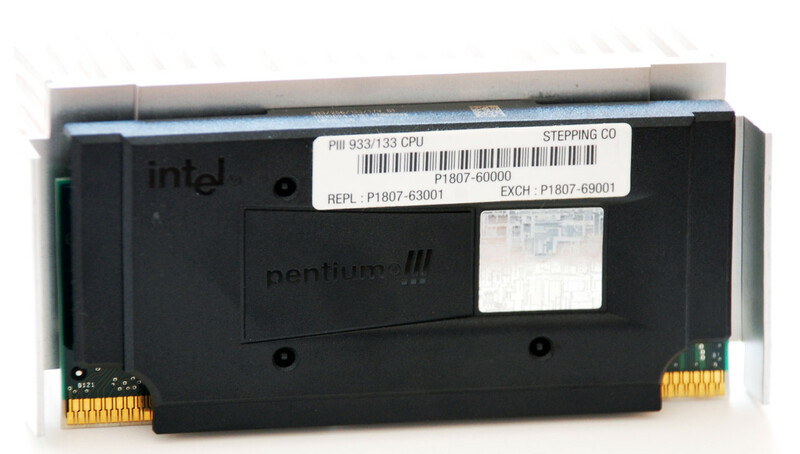 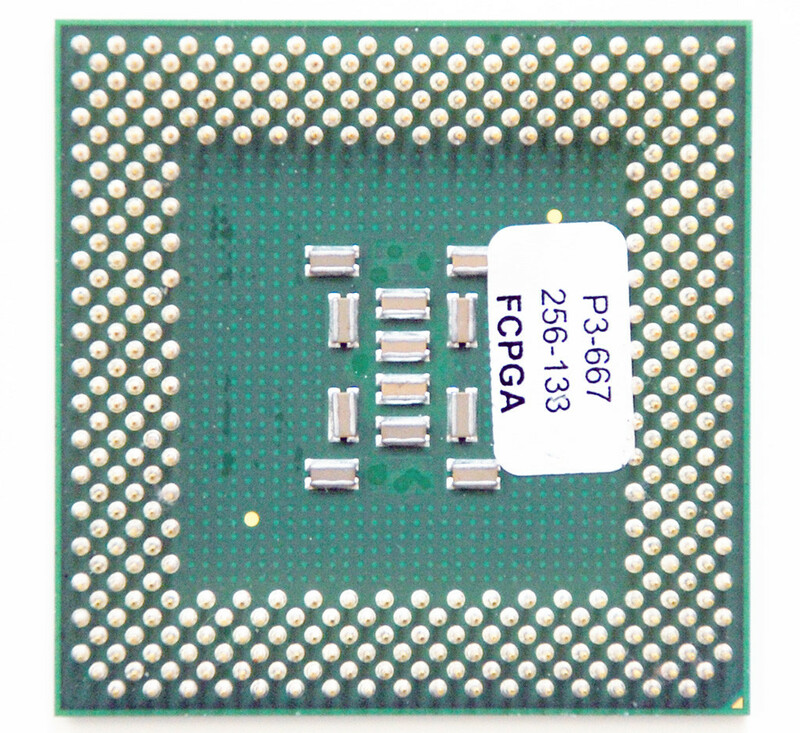 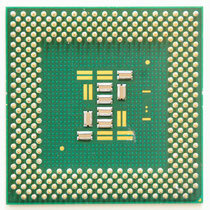 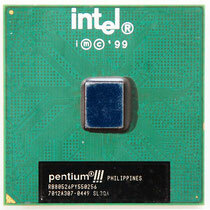 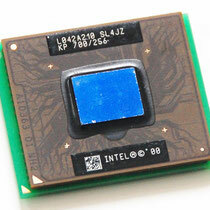 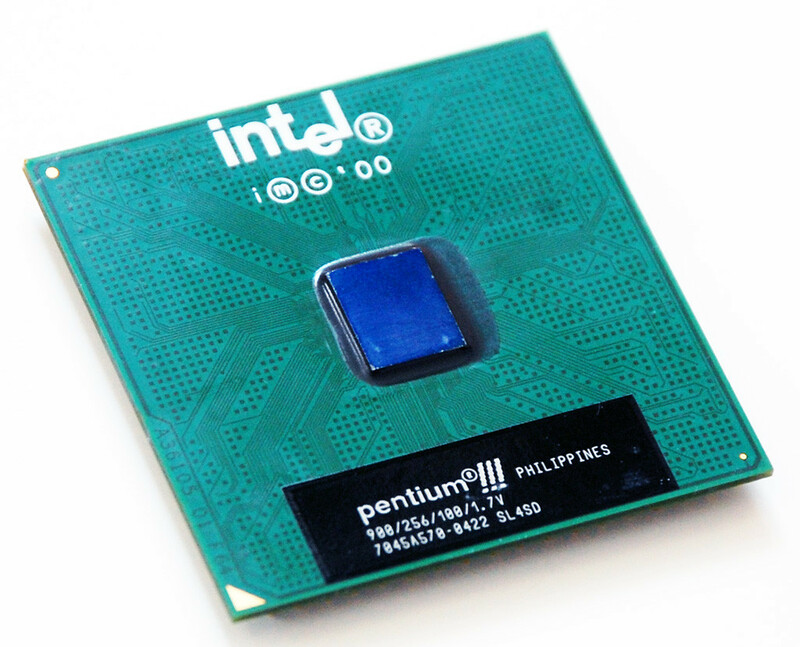 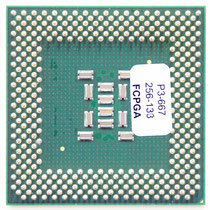 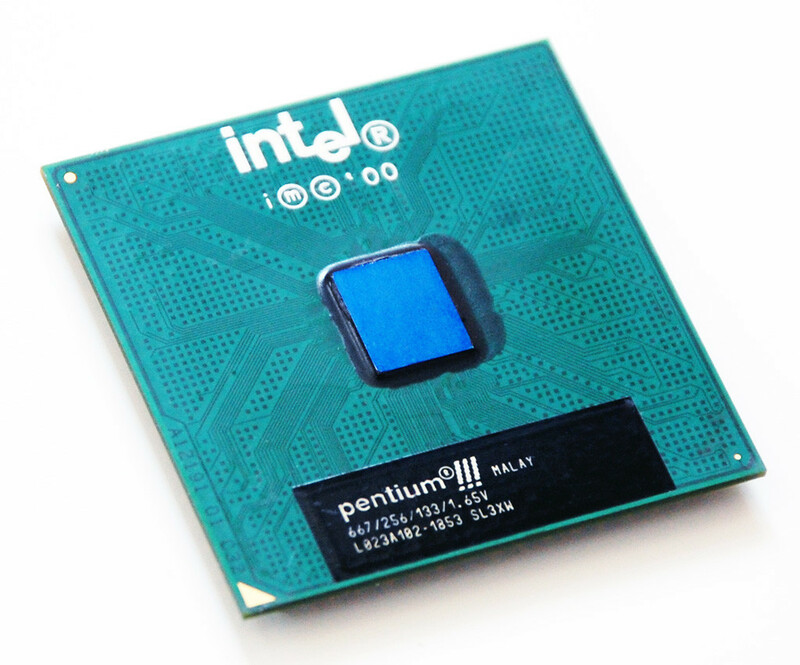 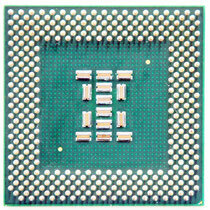 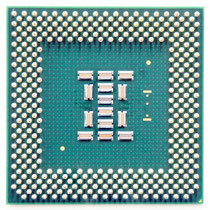 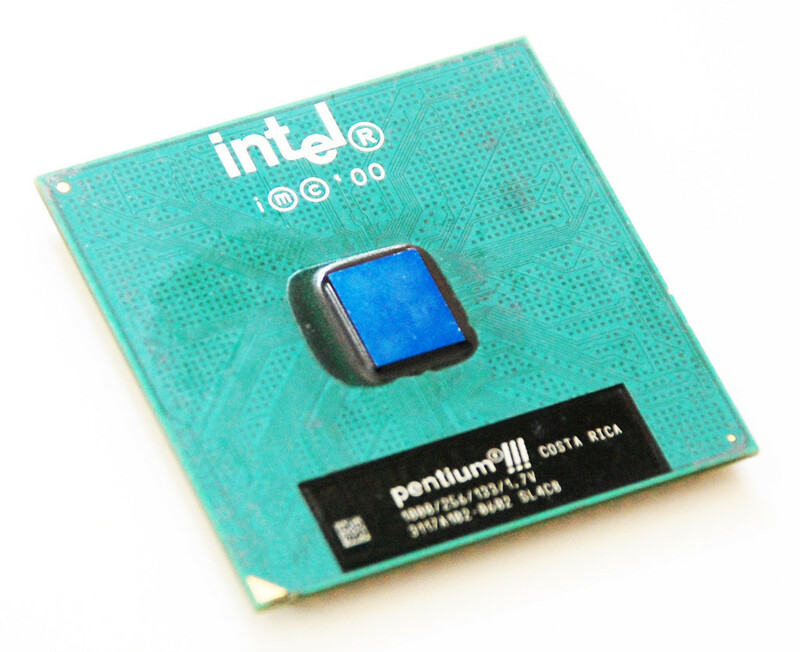 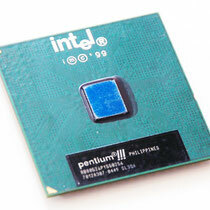 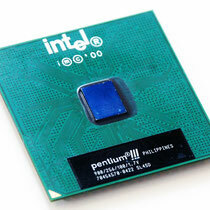 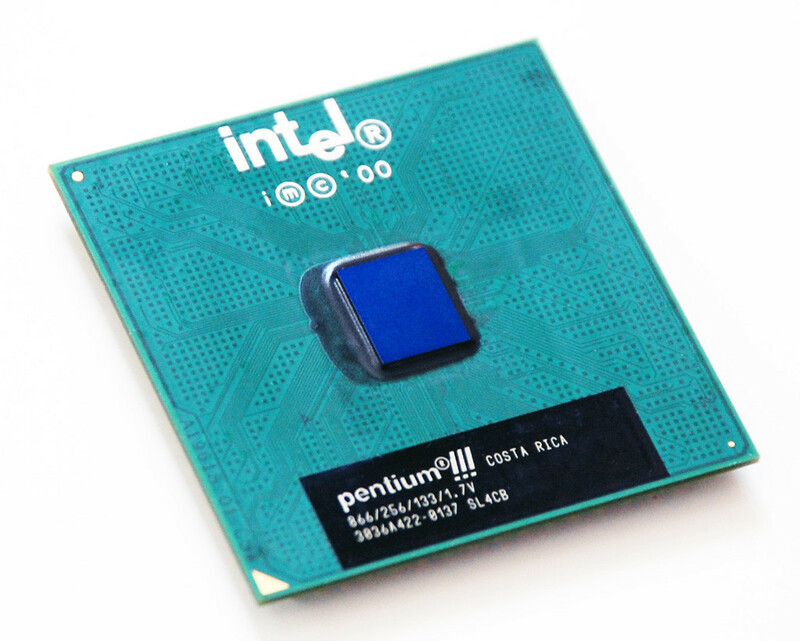 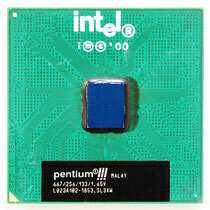 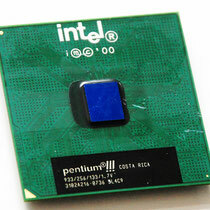 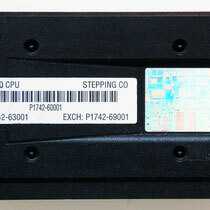 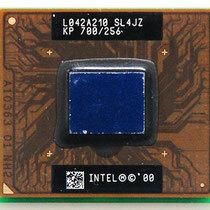 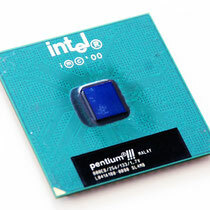 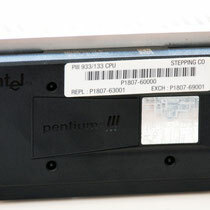 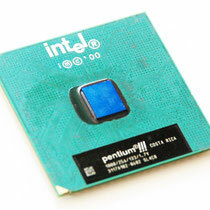 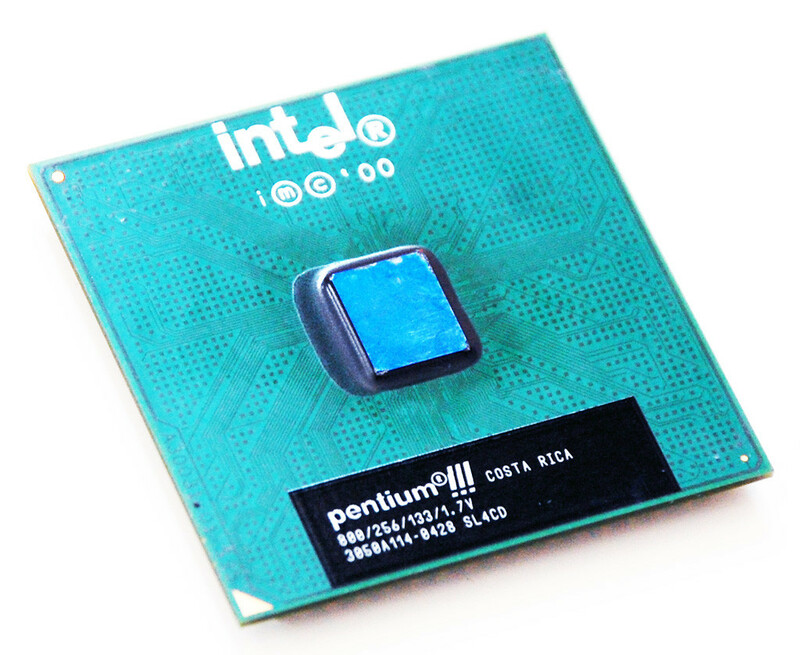 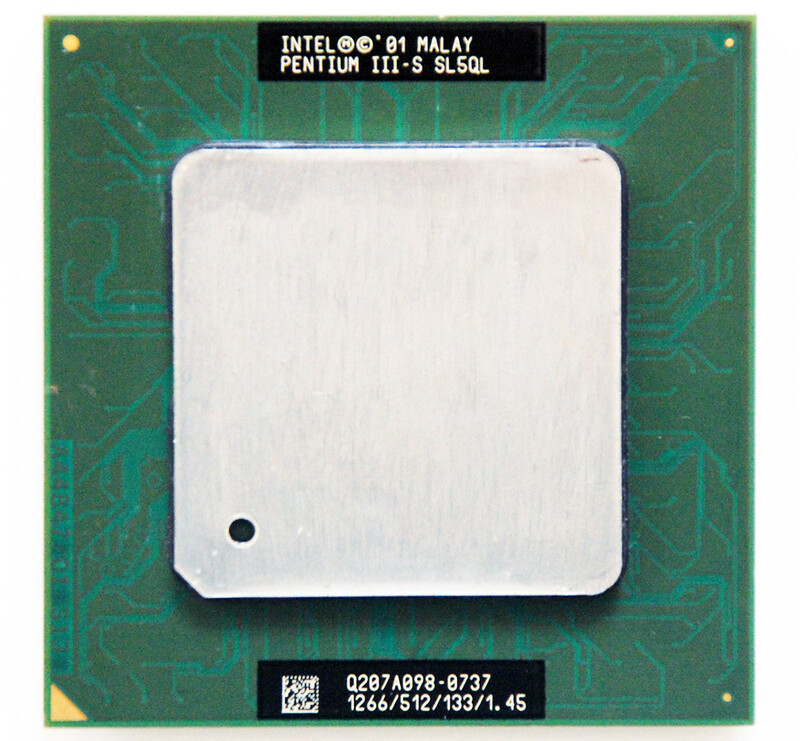 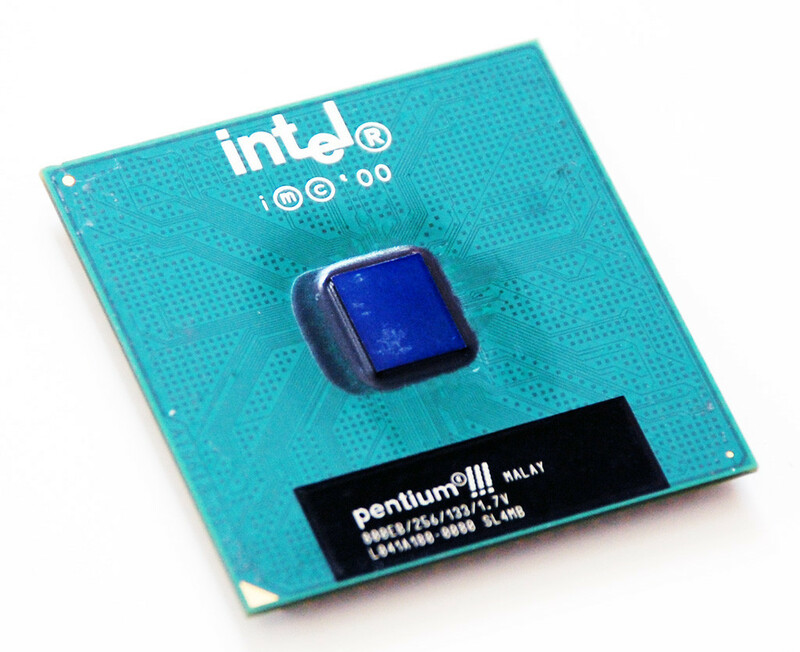 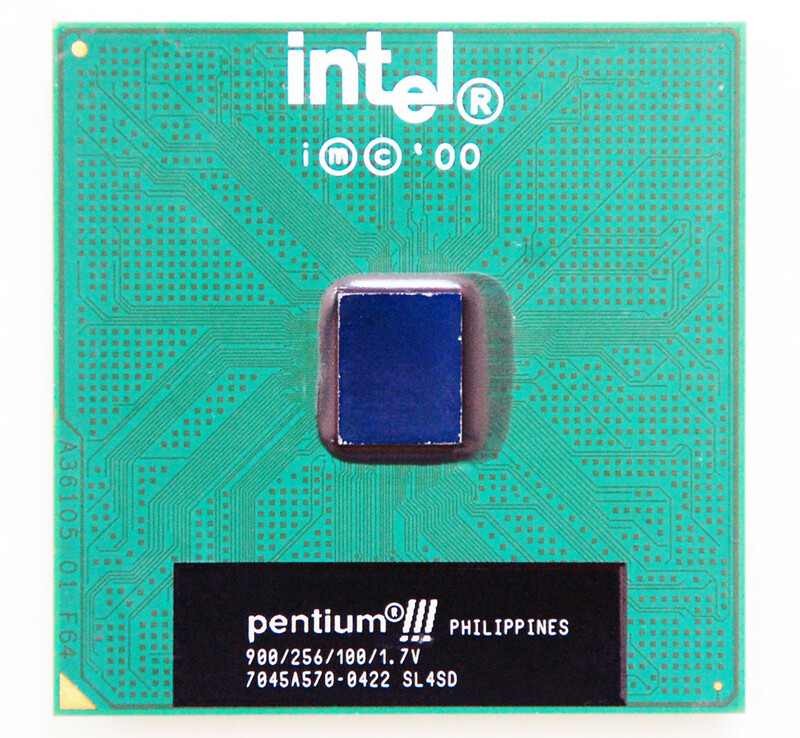 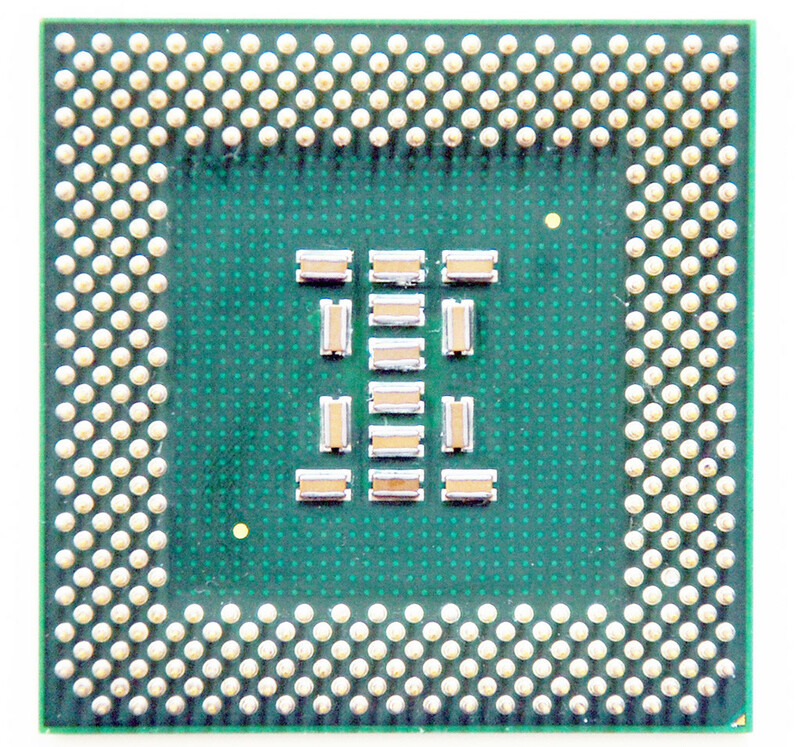 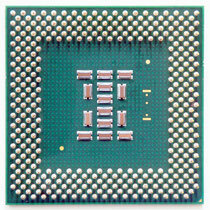 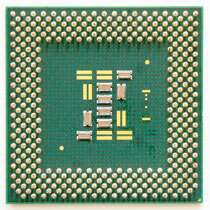 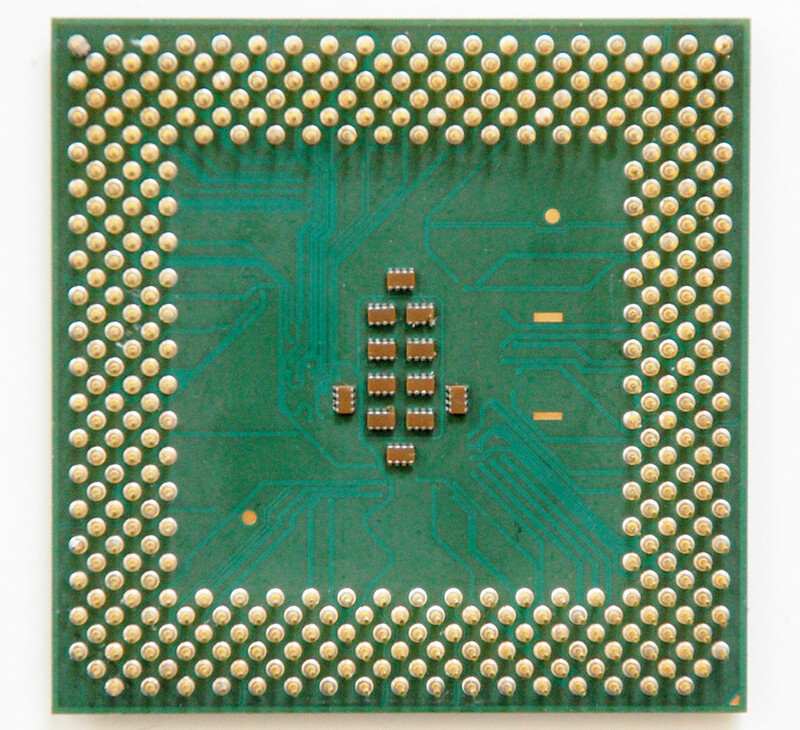 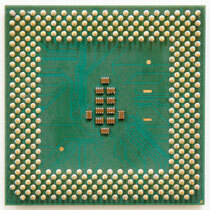 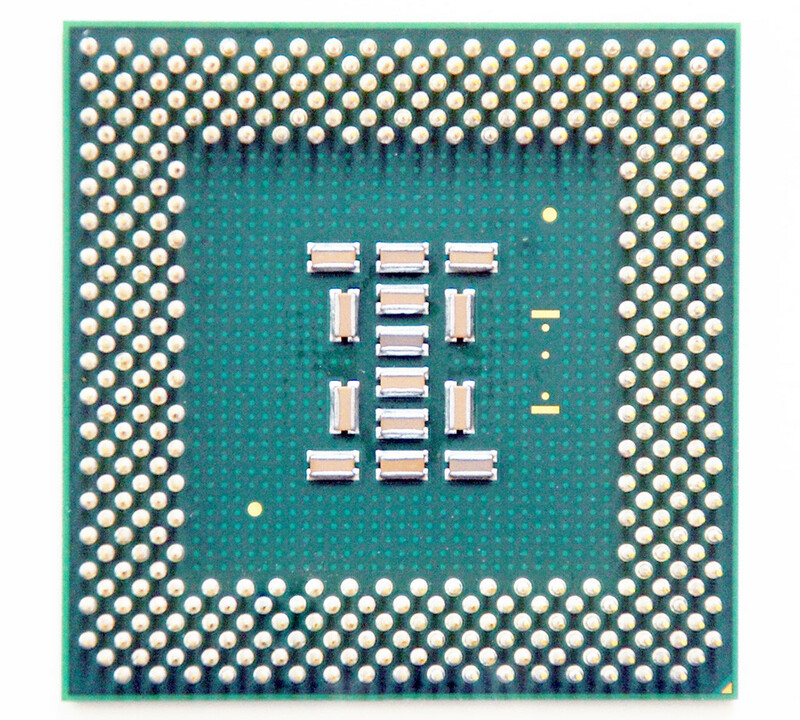 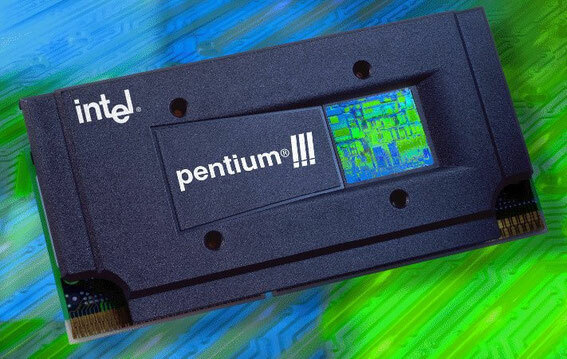 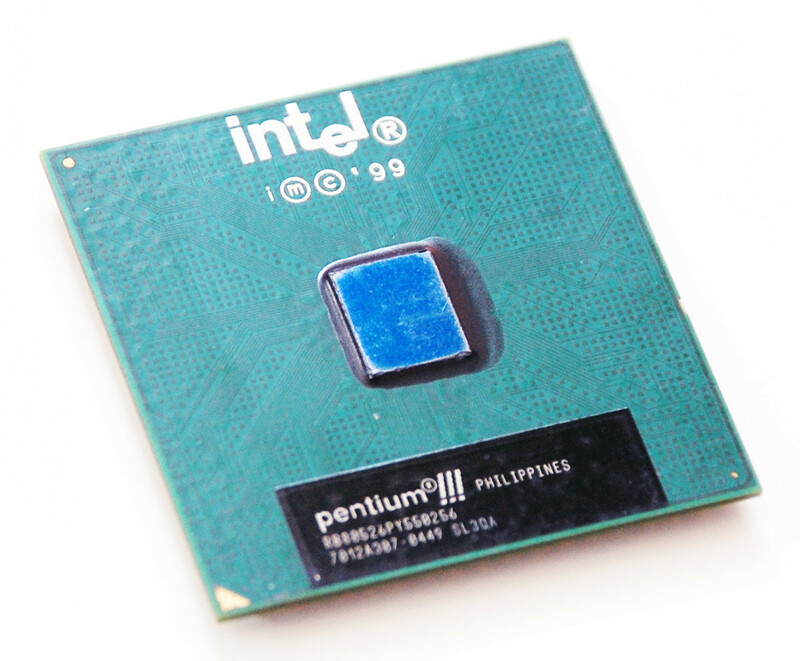 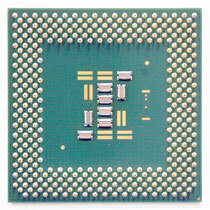 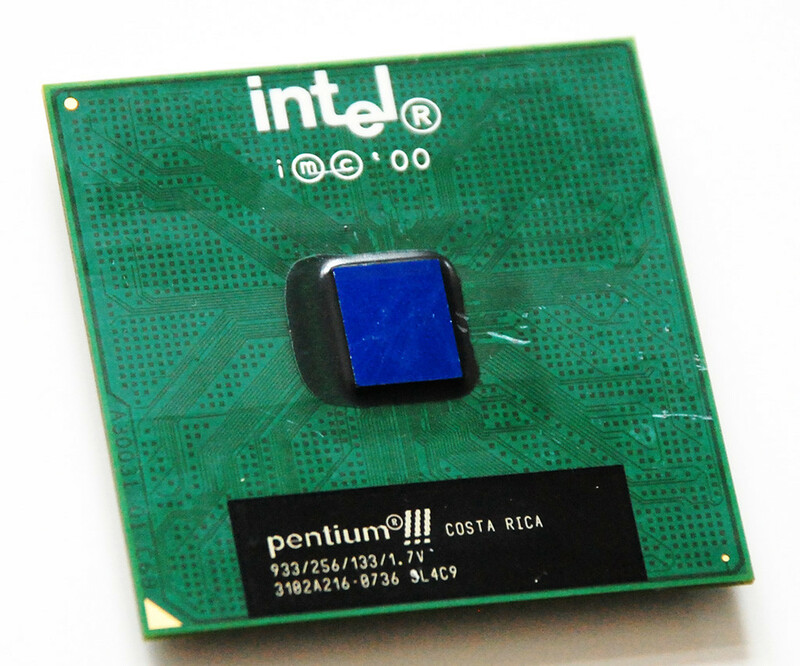 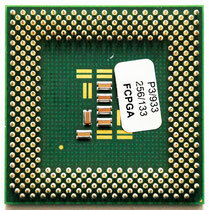 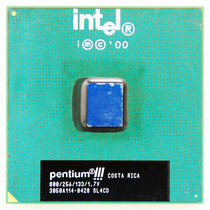 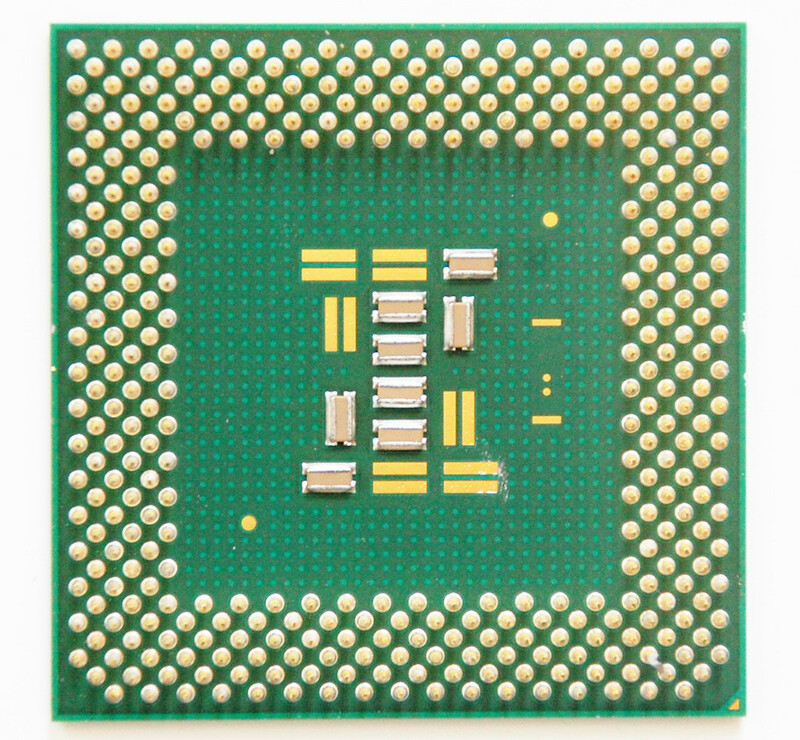 Tualatin-based Pentium IIIs were released during 2001 until early 2002 at speeds of 1.0, 1.13, 1.2, 1.26, 1.33 and 1.4 GHz. 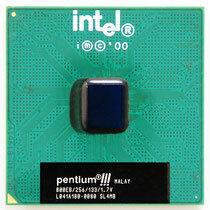 Tualatin performed quite well, especially in variations which had 512 KB L2 cache (called the Pentium III-S). 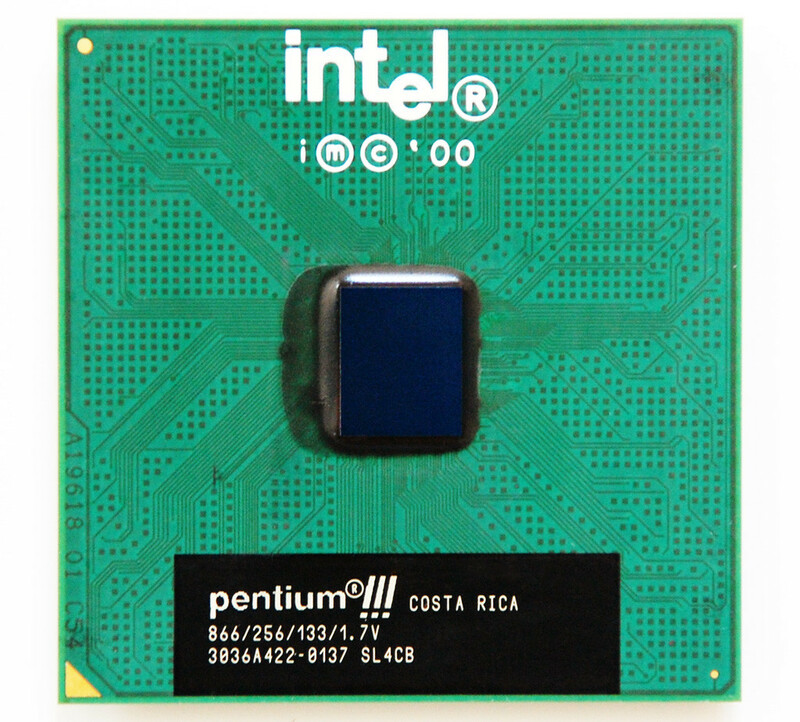 The Pentium III-S variant was mainly intended for servers, especially those where power consumption mattered, i.e., thin blade servers. 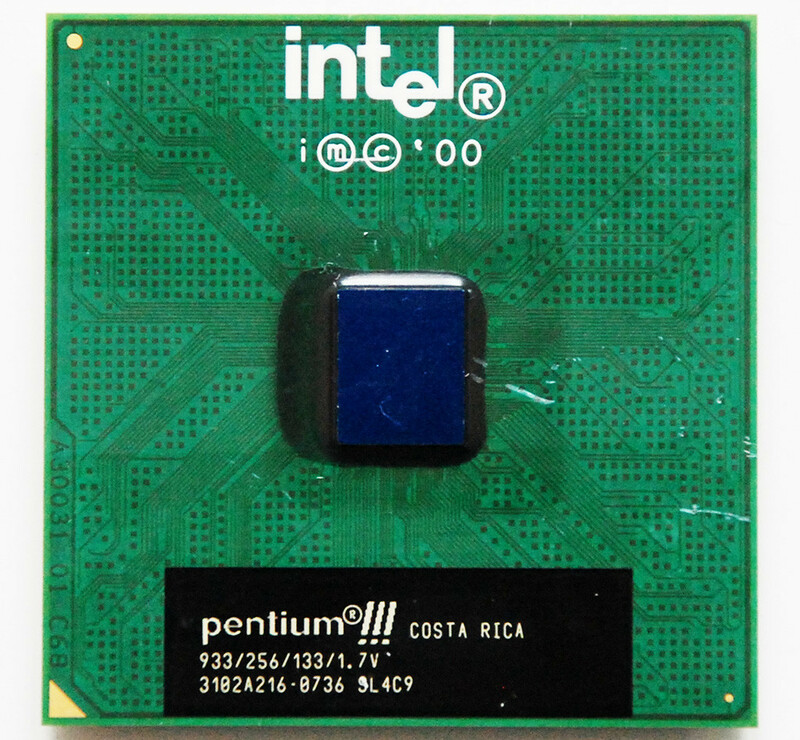 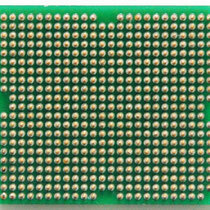 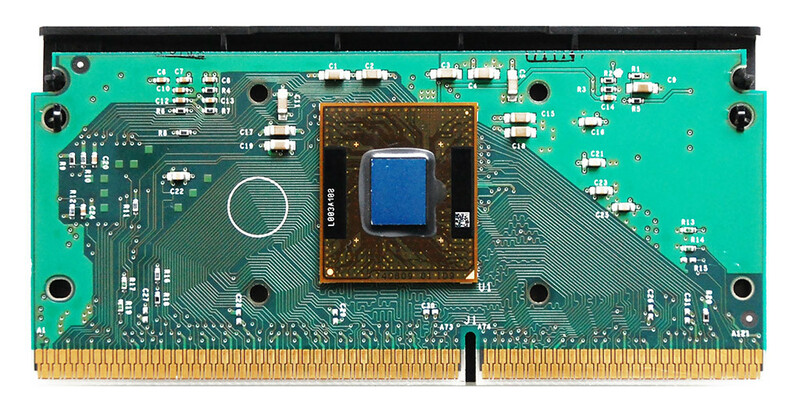 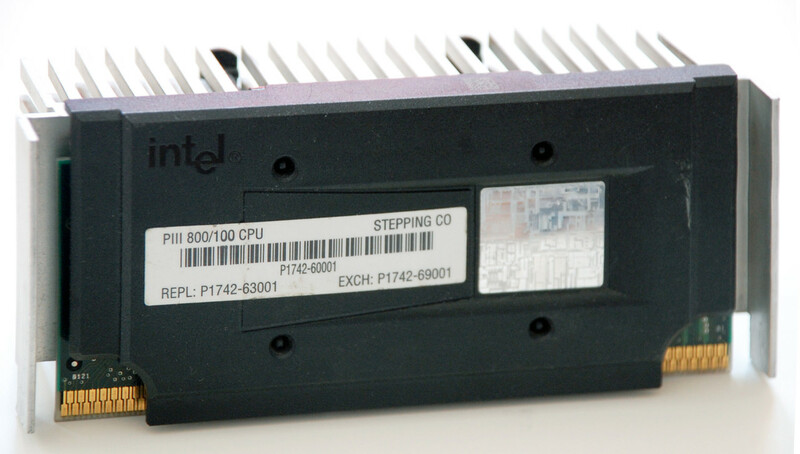 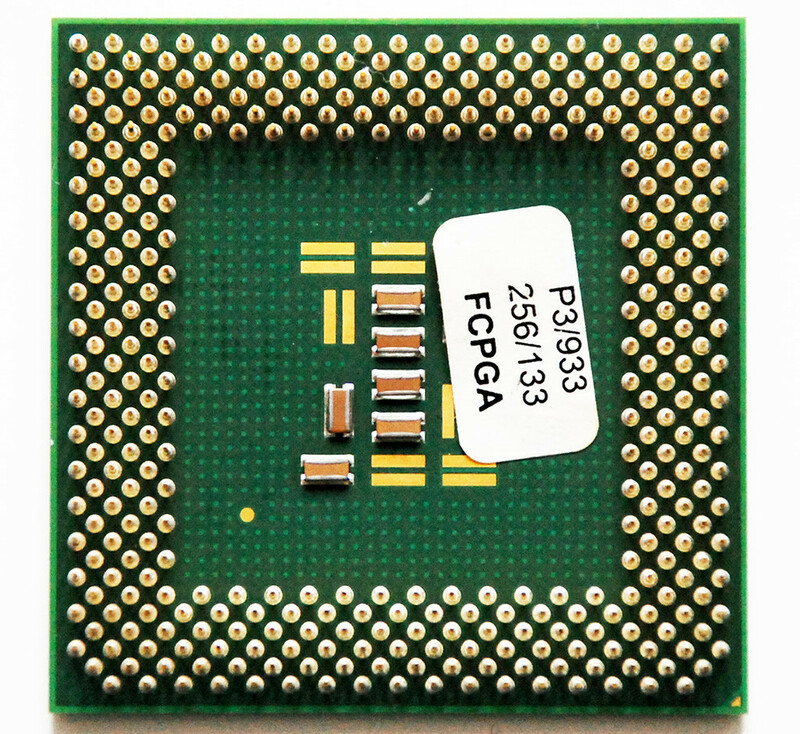 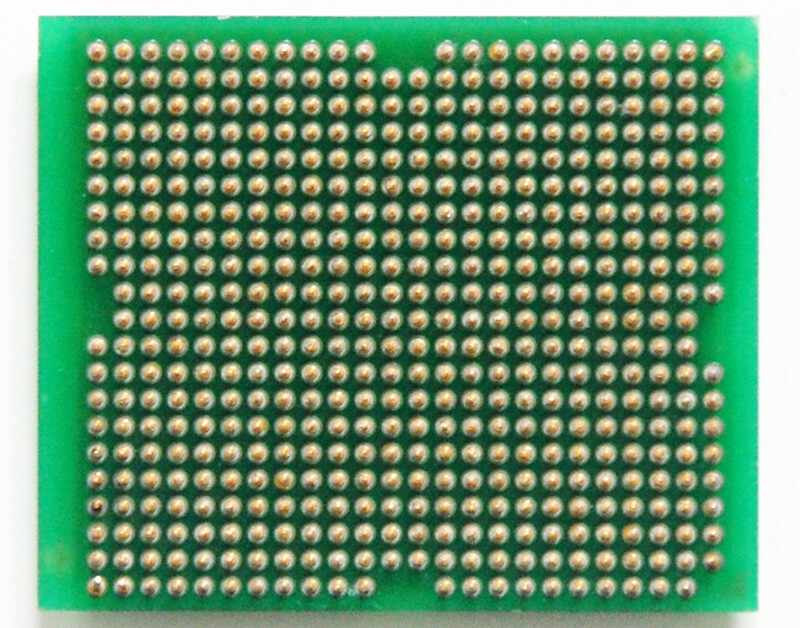 Tualatin-based Pentium III CPUs can usually be visually distinguished from Coppermine-based processors by the metal integrated heat-spreader (IHS) fixed on top of the package. 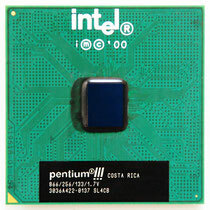 However, the very last models of Coppermine Pentium IIIs also featured the IHS.